Having shed most of their members since 2015’s Run, Awolnation are, now more than ever, Aaron Bruno’s solo vehicle. On this album he has refined the idiosyncratic but always welcoming vision that spawned the global hit Sail and its less successful (although equally heroic) successors. There’s something for everyone, from the fearsome, brassy title track’s hysterical angst to the sweet whistling and Beach Boys-style harmonies of My Molasses, via the rampaging guitar which underpins the anthemic Cannonball. As is his way, Bruno loads every song with everything he can muster (he’s so overwrought on Table For One, you fear he might have some kind of seizure), and his confession that ‘I’m just a jealous buffoon’ on Jealous Buffoon is a reminder that beneath the kitchen-sinkery, Bruno’s self-doubt still nags. 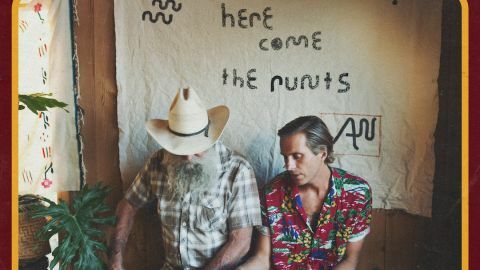 Since nothing has come close to emulating Sail’s sales, it’s easy to dismiss Awolnation as one-hit wonders; Here Come The Runts shows what a mistake that would be.